Blue on Highland is an upscale suburban restaurant serving modern American cuisine in a contemporary, elegant setting located in Needham, MA, just outside of Boston. Co-Owners Catherine and Rod Walkey strive to combine the sophistication of city dining with the comforts of a neighborhood restaurant by offering diners white-linen service at reasonable prices. 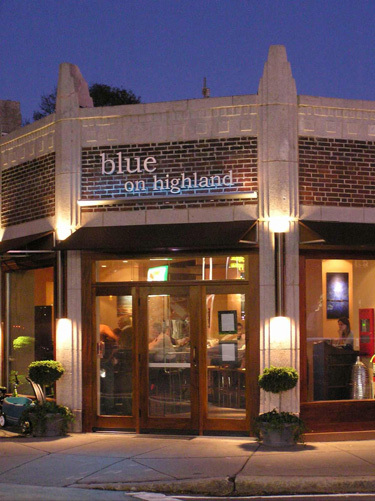 Blue on Highland is perfect for power lunching or socializing after work over dinner and drinks, celebrating special occasions, winding down the weekend at Sunday jazz brunch, or simply enjoying fine wine and appetizers in the beautiful bar and lounge area. The restaurant is available for private bookings and events as well.